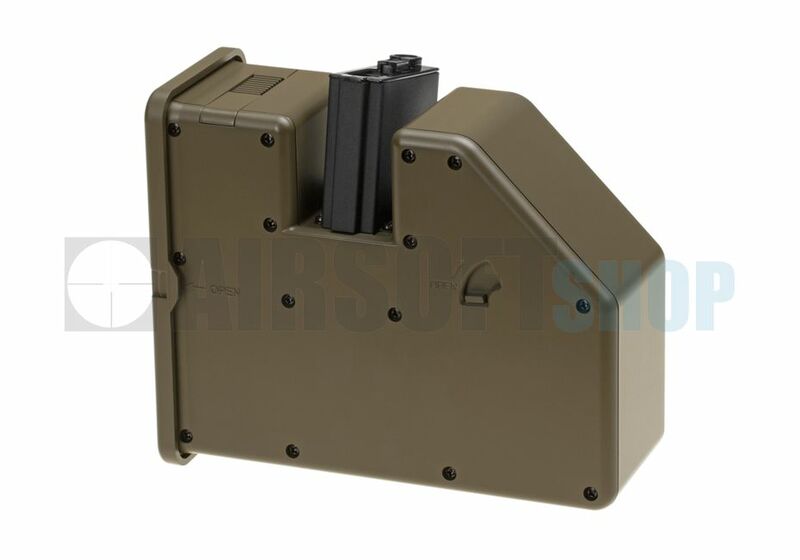 Krytac Trident LMG Boxmag 3500rds. 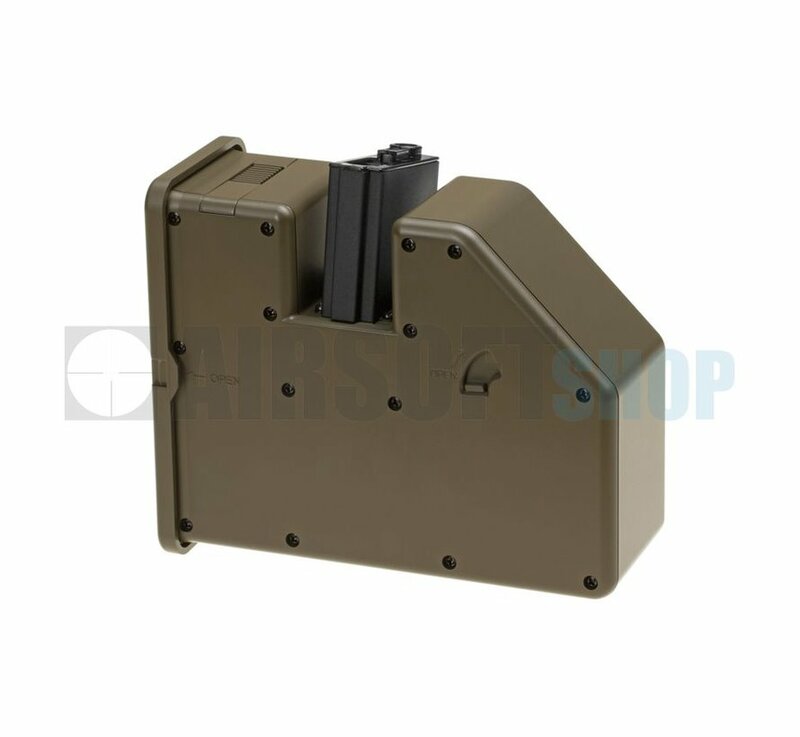 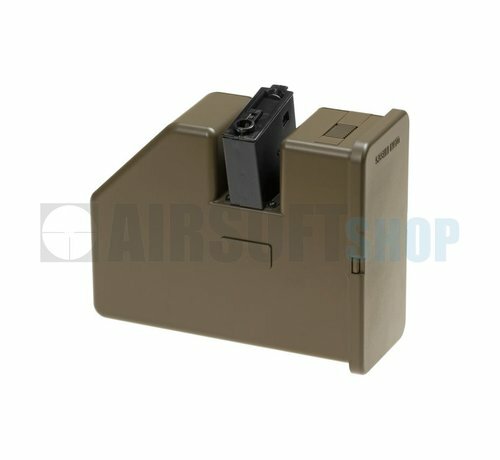 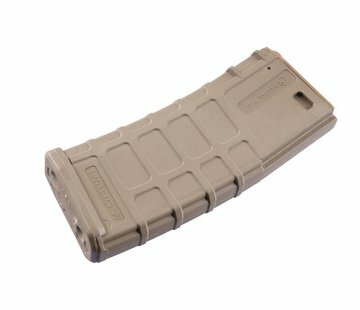 The KRYTAC AEG LMG Drum Magazine is a motorized hi-capacity option for your KRYTAC LMG, Trident series rifles, and other M4 body variants. 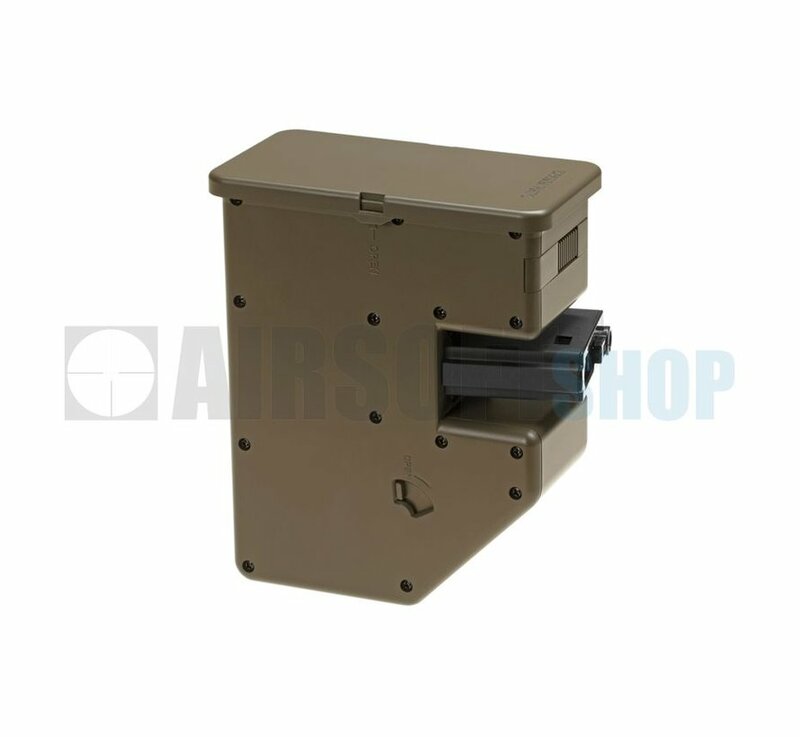 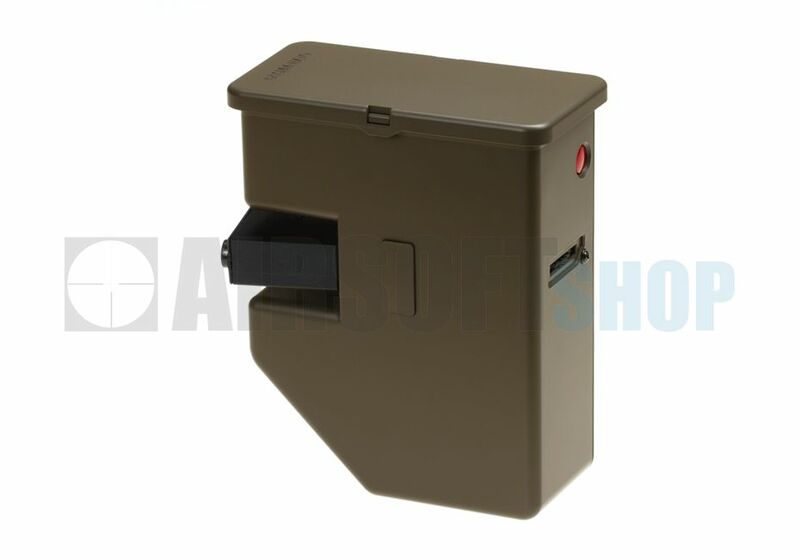 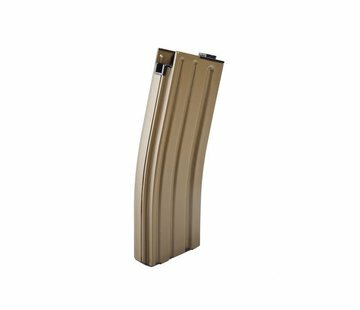 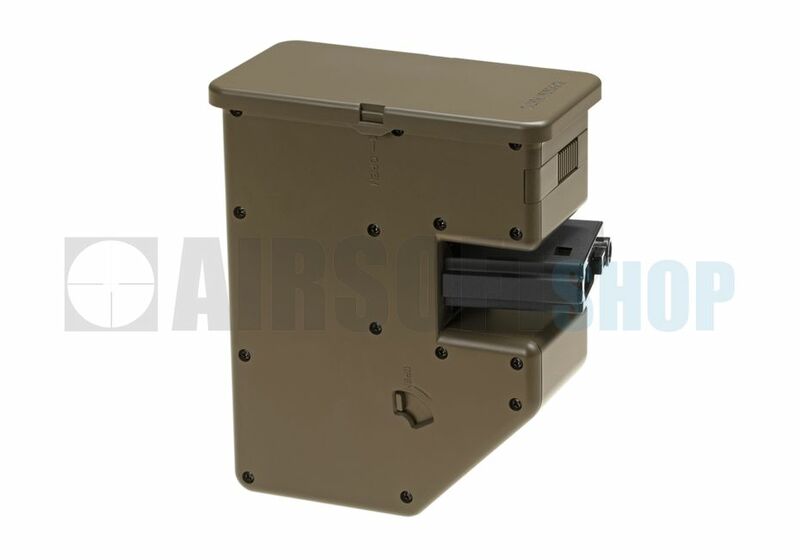 Utilizing a small (not included) 9V battery, this massive 3500 round drum magazine can dish out large amounts of firepower at your opponents. 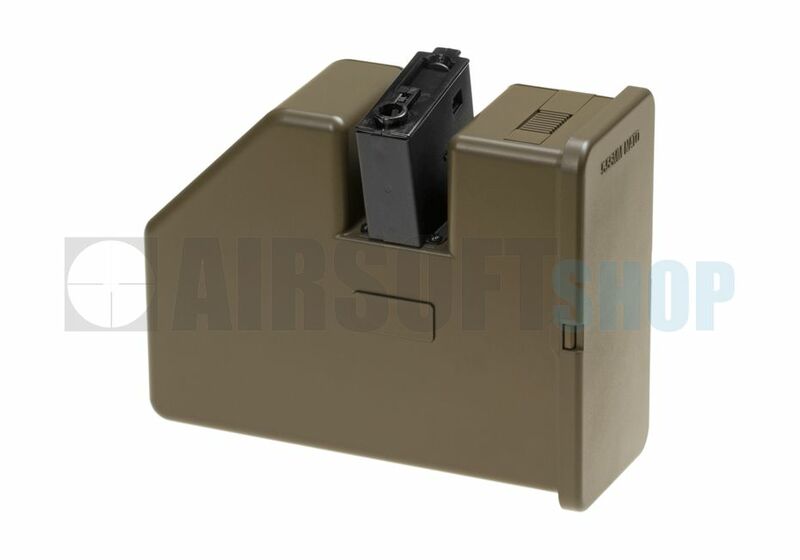 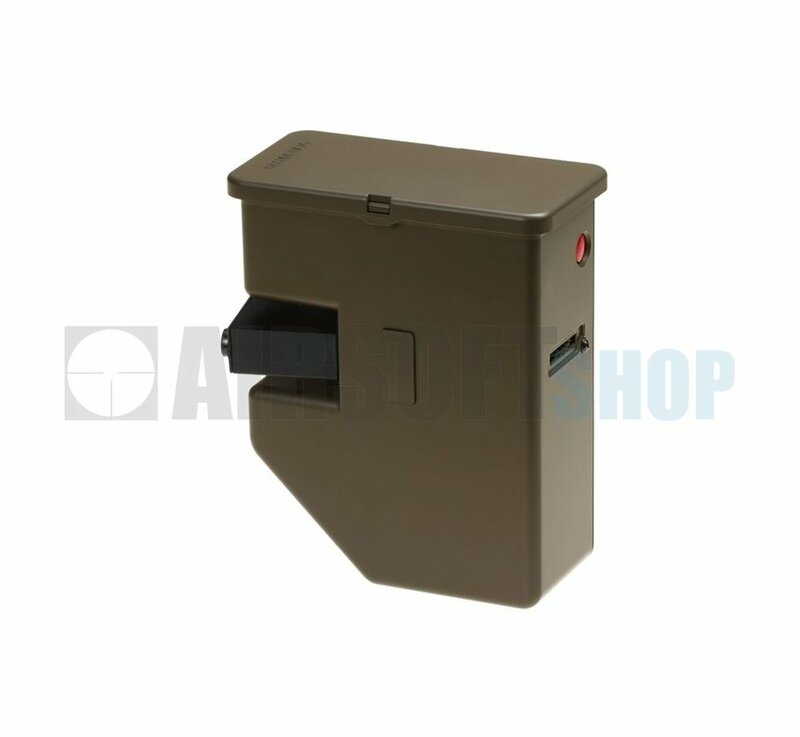 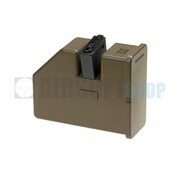 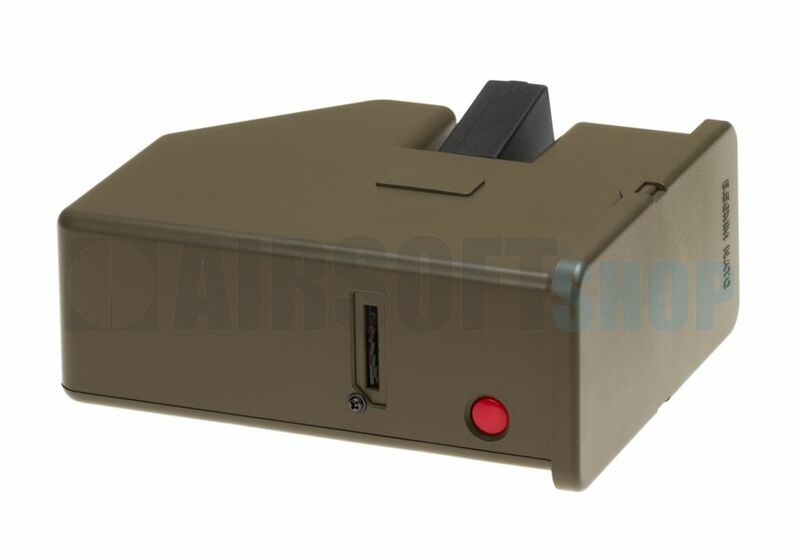 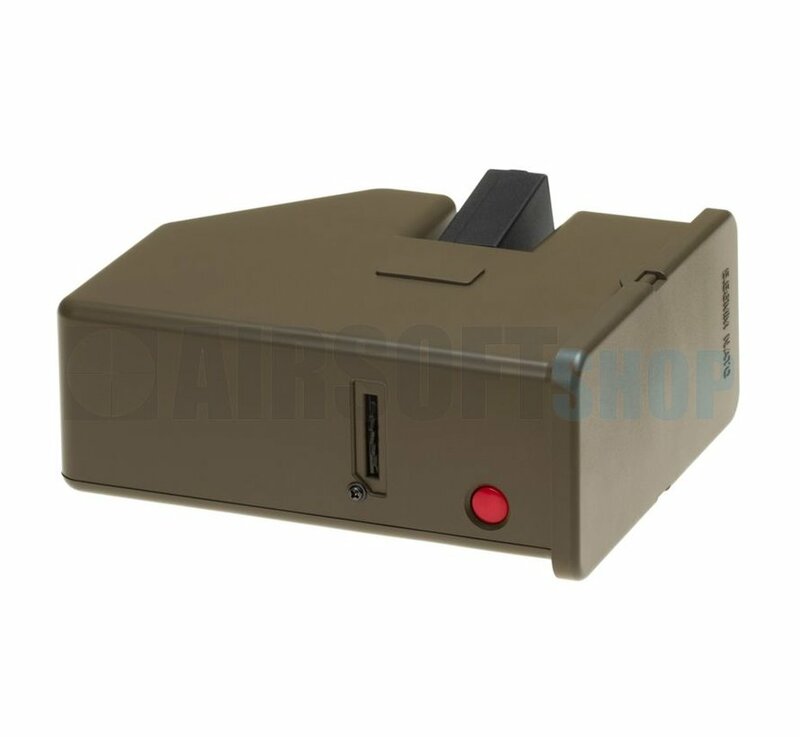 Simply press the little red button and wind up your magazine for lots of shooting fun at your finger tips.